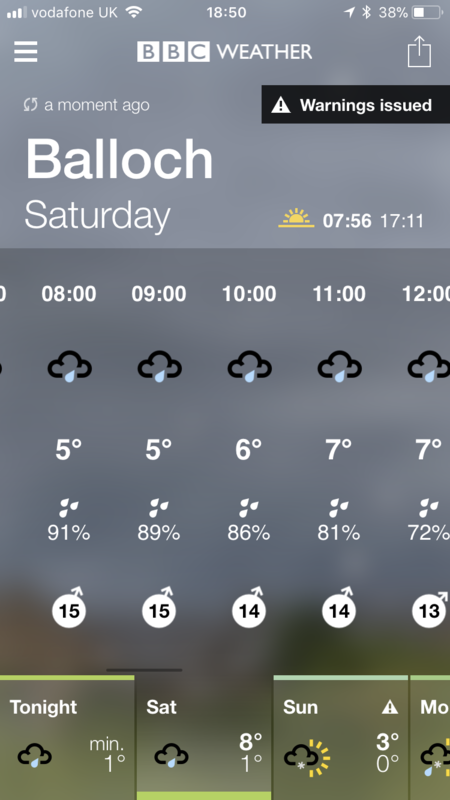 Running long this weekend was one of the last things I wanted to do… given the weather forecast, Saturday was to be wet and cold, Sunday (and the following week) was to be cold and icy… my best bet was to get it over and done with on the Saturday morning. But I couldn’t see it far enough. 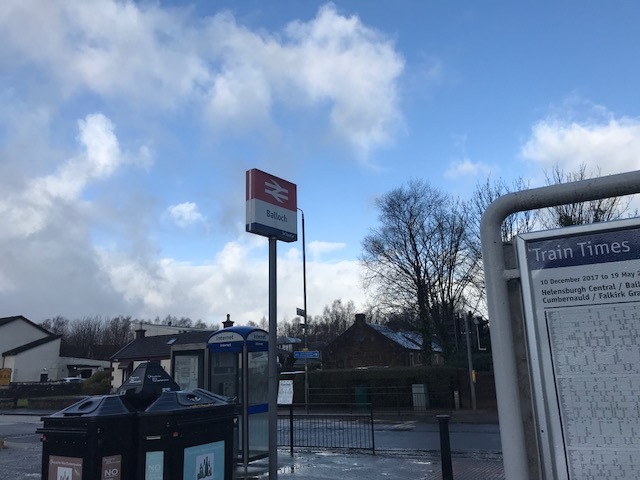 I managed to get myself out of bed and fed for about 830… then got over to Patrick Train Station to get the 919 to Balloch, getting there at 10am. Maybe the weather wouldn’t be so bad? I wrapped up well anyway, leggings and shorts, and my waterproof jacket on top of a couple of layers on top. 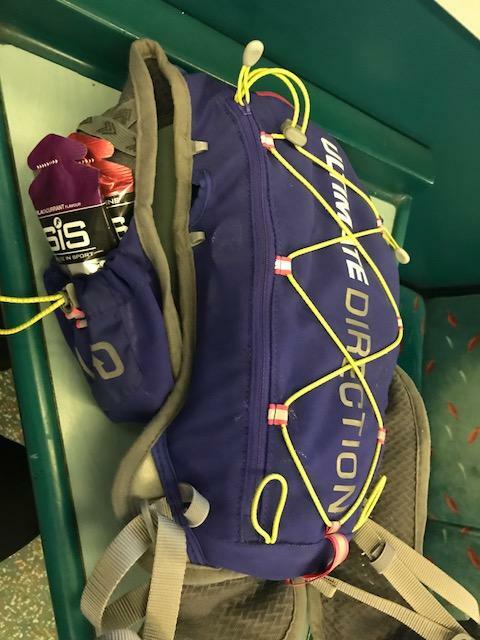 I had my water pack and a load of gels. I had my usual breakfast and had 200mg of caffeine to get me going. Trying out different ways of getting it, and this time it was simply in pill form. Then I’ll have 3 caffeine gels on the run, 225mg on top of the 200 already taken. 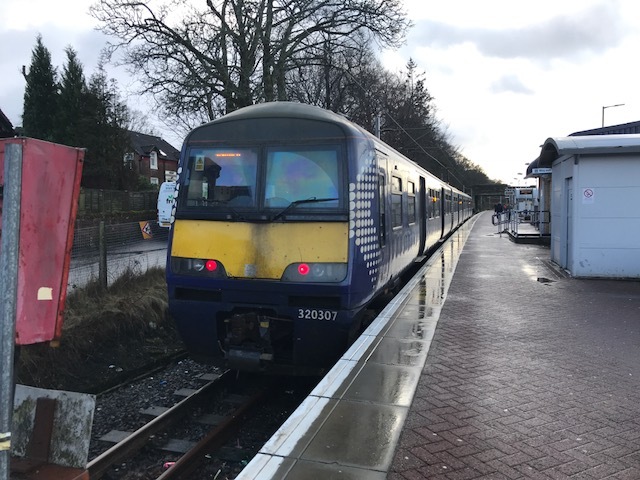 Once I got the train, it was a 40 minute ride to Balloch. The train was pretty empty, and the weather outside didn’t look too bad. Not much rain anyway (unlike the forecast). Bl%%dy weather forecasts! It turned out didn’t rain at all, and I probably could have done without my waterproof jacket. Oh well, it kept me warm whenever I stopped. 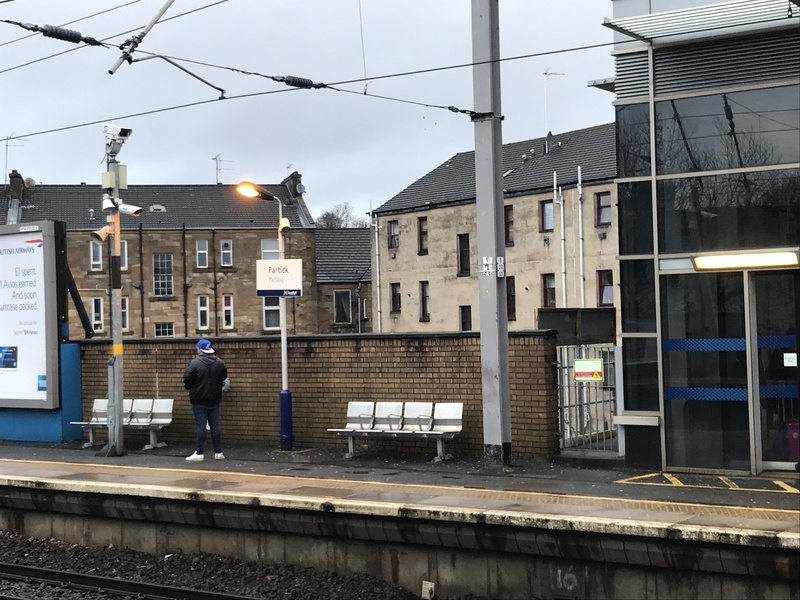 When I was on the train I realised I needed a pee, and luckily for me there was a toilet cubicle thingy in the middle of Balloch near the train station. So I took the opportunity to pee before I started running, then started my run back home. 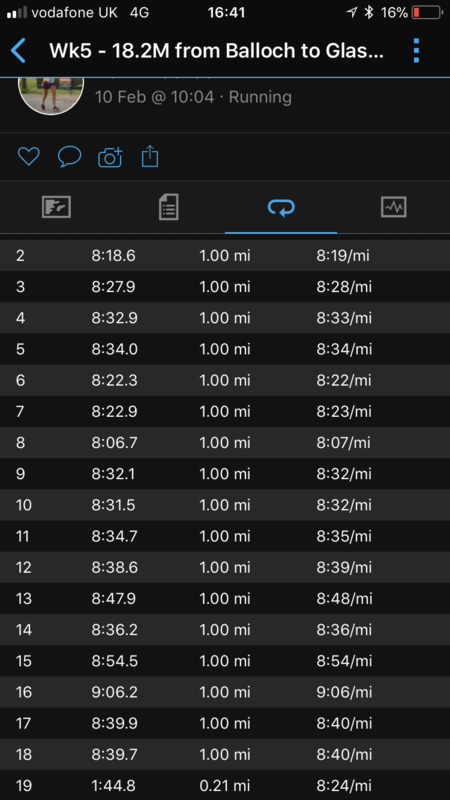 I started off pretty quick, I had thought I’d aim for about 8:30 pace for the first 6 miles, and 8:15 for the next 6 and 8:00 min miles for the last 6, but when the first couple of miles were ticking off at between 8:00-8:20, I figured I’d just run and see how I got on. About a mile in o had to stop dead for a golden lab which crossed right in my path. It didn’t even phase me. I just stopped and got going again. It was national cycle route 7 for the most part, some of the Balloch to Clydebank half marathon route, then some. About 6 or 7 miles in I was doing fine, following the little blue signs, but took my concentration off the route and found myself going up little streets I didn’t recognise, and the signs were no where to be seen. A sure fire way to know you’ve gone off track. I was about an hour in and I stopped to check where I was and where I needed to be. 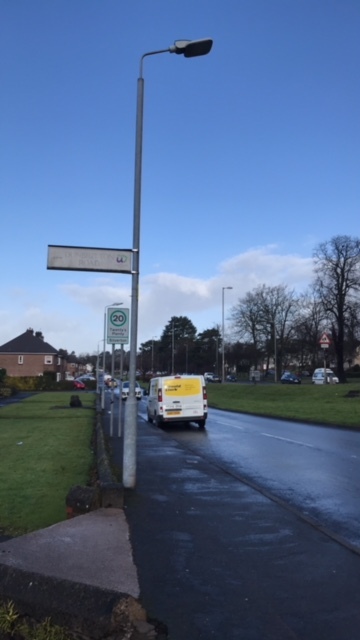 Google and google maps answered my question and I went down a street then left… in Dumbarton somewhere I think. Finally I got on track and stopped quickly to do my first ever Facebook live on my page. I ran on along the cycle track and at 8.5 miles in I took my second caffeine gel (I’d taken the first 4 miles in). It was all going well, along past the back of the dog and cat home I’m Milton, then into Clydebank. I’d done 6 miles in 49 minutes and got to 12 miles in 1:42… so my second 6 Miles was a bit slower, but I didn’t mind. At that point I was starting to feel it, and realised that I like breaking up long runs in to smaller chunks than 6 miles. So I started to break it down into 3 mile sections. I got to 13.1 miles, I’m around 1:52 and stopped to take another gel and get a breather. Even though the weather was ok, I was finding this run a bit harder than my previous long runs. Just 5 miles to go I thought / under 45 minutes. Easy peasy. But it was anything but. I wasn’t sure if it was just 5 miles to go or more. The signs said 7 miles to the city centre … but I was just going to Partick so I figured I’d be ok. I was full of gels and didn’t want anymore. I felt like I was running pretty well, nice and steady, but from about 14 miles in my mind started playing tricks on me. 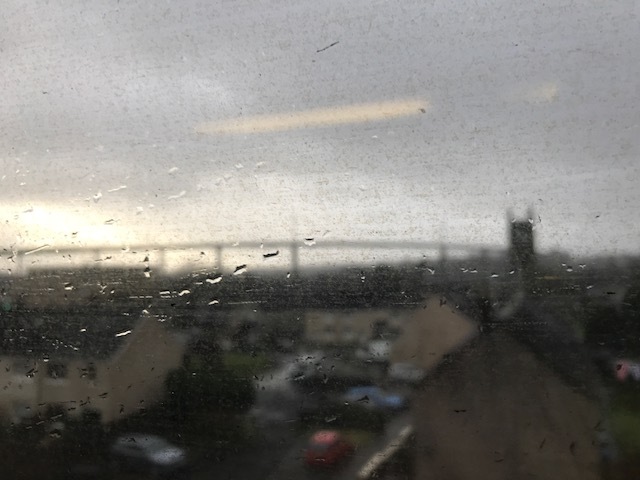 Running through Clydebank and beyond, through an industrial estate, I had about 4 miles to go (I hoped) and I couldn’t be bothered anymore. If only I could stop I thought. But I kept going. I considered stopping and doing another Facebook live of my thoughts, which were very much full of expletives and swear words, but I figured I should just get on with it and keep going. Runners Tourette’s… swearing like a trooper, I remember running friends saying they noticed that about me before. Bikes were passing me from behind and I was sweating at them inside my head saying ‘yeh, go on, you cycle past me on your pedal thing, which makes life much easier than running’. Wtf? 😳 There has been loads of dogs on the route and all of a sudden the dogs changed from being cute little things to me seeing about 5 bull dog type dogs (and their owners). I told myself to shut up and get on with it. I had 3-4 miles to go, 30-40 minutes, I’d be finished before I knew it. 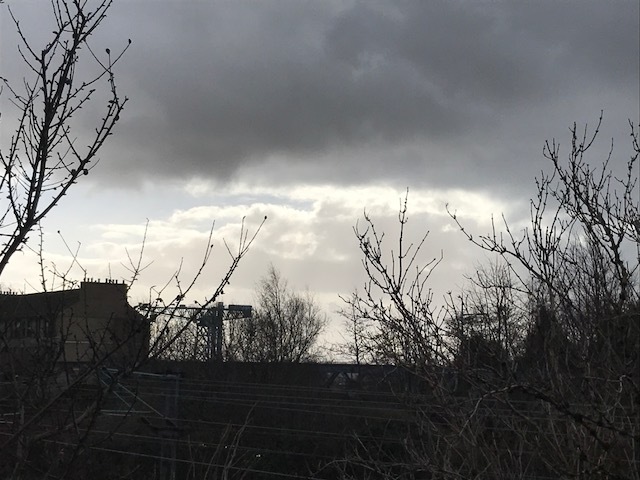 Running through yoker I stopped to ask a man where we were… just to be sure. I was on the right route… just checking what area I was in. 16 miles in and it was my slowest mile, let me just f%#%ing finish I thought. 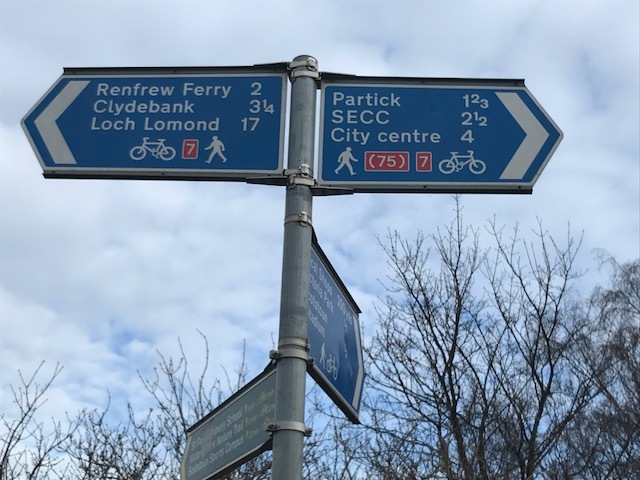 Then just after 16 miles in I saw this sign – 1 2/3 miles to Partick. I kept ploughing on. Still no rain and hardly any wind either. Probably ideal running conditions in fact. I’d been listening to my music all the way and my iPod was showing a low battery. But it managed to last, and so did I. 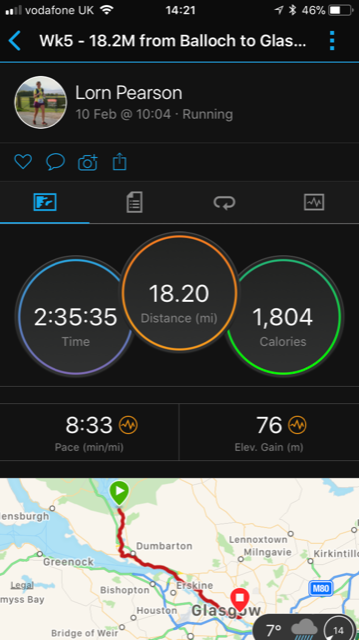 At the end, I figured I might as well keep going to get to 18.2, and I was glad to finish. I walked up Dumbarton road a bit, getting stuck behind pedestrians and took the opportunity to walk off my long run and stretch a bit. I finished in just over 2:35, 8:33 pace, and with an average heart rate of 156 / 85%. 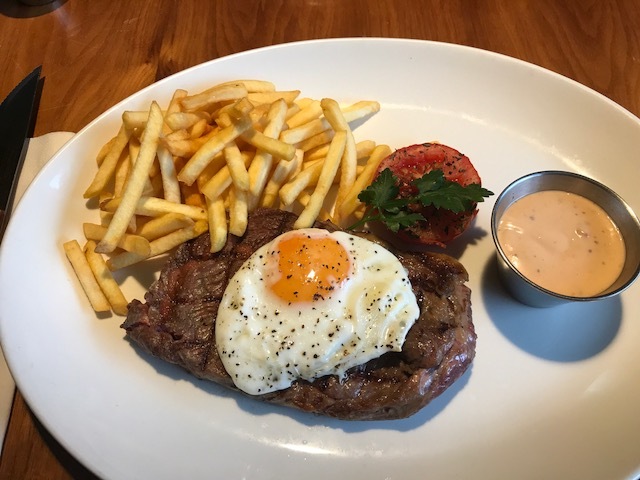 I had a for goodness shakes, water and a stretch, then home did a shower and out for a steak for a late lunch. It was well tasty. I might have also had a sticky toffee pudding with ice cream. 🤪 still no rain until about 5pm. I realised when I got home that I was carrying so much…, lol. All this plus my jacket, gels, phone and water pack. 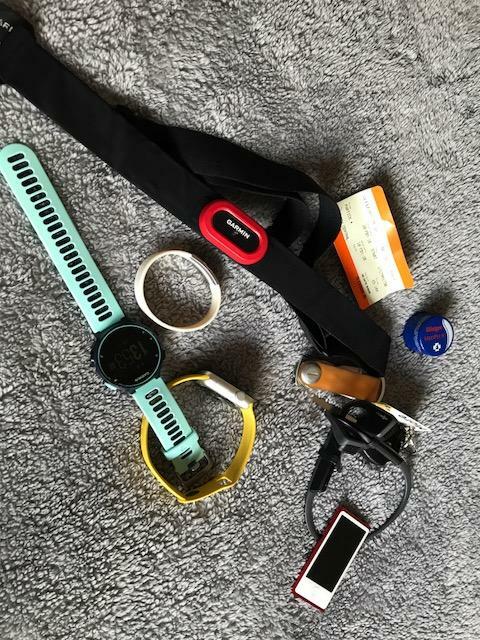 Maybe it was hard work because I was carrying a stone worth of gadgets?! All in all a toughie from about 14 miles in. I did another wee Facebook live at the end, and probably talked a lot of pi$h. Lol. Probably more to do with my mindset rather than anything else. I think I expected the run to be tough (with the rain which didn’t materialise) and it was tough. I can do better than this, and I will.